The normalized spectral transmission of a liquid crystal tunable filter was characterized. Light was focused using a lens, and the diverging light from the focus is made incident to the LCTF. The output spectrum is measured by a spectrometer when the LCTF is set to allow a certain wavelength (λLCTF). We found that spurious transmissions are observed in wavelengths away from λLCTF, especially at higher effective NA. W. D. G. Improso, P. L. A. Hilario, and G. Tapang. 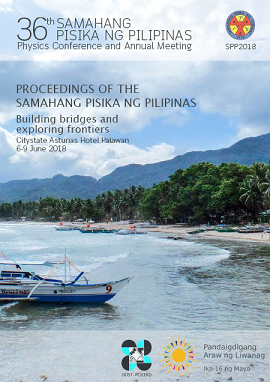 Characterization of liquid crystal tunable filter spectral response with diverging incident light, Proceedings of the Samahang Pisika ng Pilipinas 36, SPP-2018-2B-04 (2018). URL: https://paperview.spp-online.org/proceedings/article/view/SPP-2018-2B-04.